Supreme Products De Luxe Coat Gloss produces the ultimate in coat finishes. It is specially designed and formulated to achieve perfection on show coats. Being light in texture, easy to apply either to either wet or dry coats and incredibly shiny - without being sticky, tacky, static or oily - Supreme Products De Luxe Coat Gloss, from the professional collection, is in a class of its own. Use De Luxe Coat Gloss when an outstanding finish is required. It can also be used as an underbelly mud repellent and will hold in quarter marks - apply liberally to the quarters then mark up. Supreme Products De Luxe Coat Gloss can be applied to a dry coat or to a wet coat immediately after bathing. 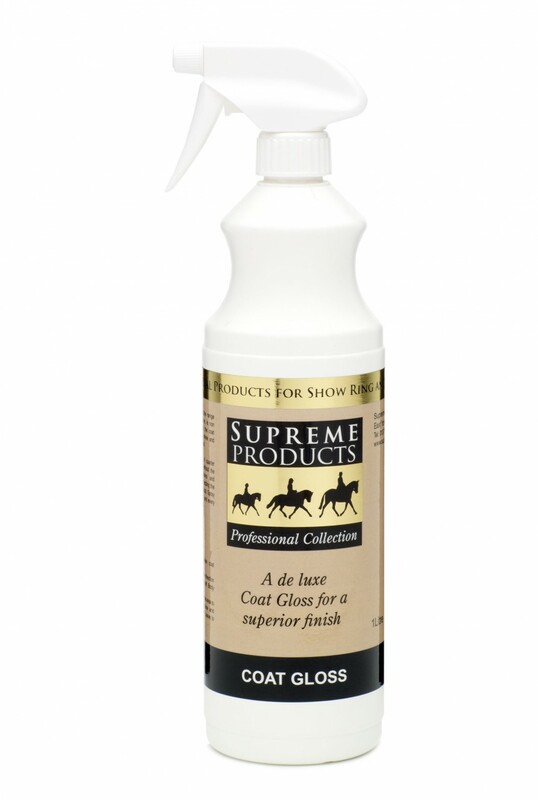 There are currently no questions for Supreme Products Deluxe Coat Gloss for Horses - be the first to ask one!